The America the Beautiful Quarters series consists of 56 new quarters that honor one national park or historic monument in each of the 50 states, Washington, D.C., and the 5 U.S. territories. The coins (also called the National Parks and Monuments quarters and National Parks quarters) are being released over 11 years — from 2010 through 2021. Here’s the complete list of quarters, the national site that each one honors, and their release dates. 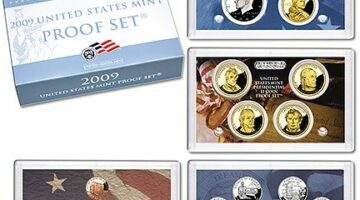 Check out these 10 ideas for coin short set collections that’ll surely help any coin collector have fun on a budget. The 6th and final quarter as part of the District of Columbia and United States Territories Quarters program was released on December 10, 2009. 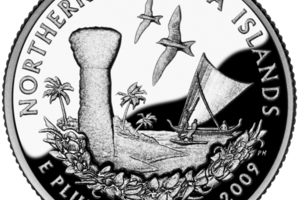 This quarter honors the Northern Mariana Islands. Here are some basic facts and values for this U.S. Territory quarter. The U.S. Virgin Islands quarter was the 5th coin released as part of the DC & U.S. Territories Quarters series. Here are some little-known facts and values for the U.S. Virgin Islands quarter. 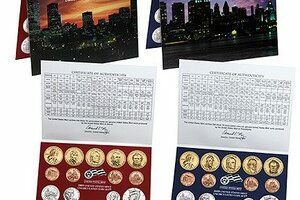 The 2009 uncirculated coin set is big! 36 come in the 2009 uncirculated set. But along with a bigger set also comes a bigger price. Here’s complete info about the 2009 Uncirculated U.S. 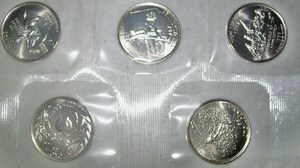 Coin Set from the U.S. Mint. Have you found an American Samoa quarter in your pocket change yet? ‘D’ (Denver-minted) coins were released into circulation in the western half of the nation while ‘P’ (Philadelphia-minted) quarters were released for circulation in the eastern half of the U.S. in 2009. The Guam quarter honors the North Pacific Ocean island which became a U.S. territory in 1950. Here are some little-known facts and values for the Guam quarter. In 2009, the U.S. Mint is issuing a fascinating variety and quantity of coins. Ranging from Lincoln bicentennial pennies to the 24 karat gold double eagle there is something for everyone in the 2009 United State Mint issue. The proof sets for 2009 are the largest they have ever been. Each set has 18 coins and 4 lenses. The District of Columbia quarter, released in January 2009, is easy to collect from circulating coins. The Puerto Rico quarter is the 2nd quarter issued in the Washington D.C. and Territories coins. It was released on March 30, 2009. 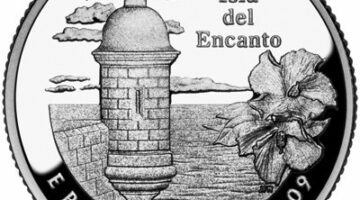 Puerto Rico quarters sell for between 50 cents and $1 from most coin dealers. The quarters are also available at face value from banks. Although the 50 state quarters program ended in 2008, the United States was not done honoring the geographical regions of our nation. 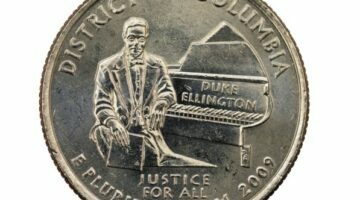 In 2009, the U.S. Mint issued 6 more commemorative quarters as part of the DC and U.S. Territories quarters program. See what each of the Territory quarters looks like, and the current value of each U.S. Territory quarter. How long have people been collecting coins? About a long as coins have been made — around 600 BC to 800 BC. In addition to a brief history of coins and info about the history of coin collecting, see how the 50 State Quarters program sparked a renewed interest in coin collecting in the late 1990s. Collecting the U.S. quarters led many to start collecting coins of other types as well. Here we review the ups and downs of coin collecting through the years, and how it all comes back to the U.S. quarter.